In October 2012 the Pollock family was eating dinner together discussing Chad Pollock’s spirit collection. Chad had shown an interest in spirits from the moment it was legal for him to do so. By the ripe age of 23 he had already accumulated a formidable collection of spirits from gin to bourbon. His spirit of choice though, was absinthe. He had acquired all absinthe varieties’ to be had in town and had travelled around the country and internationally, adding to his collection along the way. Chad’s mom, Kathy, suggested he make his own. At this suggestion all four Pollocks took pause, wondering if such a thing was possible. The possibility of that jumped out to them as an exciting prospect. They embarked on researching the possibility of opening a distillery and discovered that small distilleries were booming in the United States. Armed with this knowledge and a budding excitement for the potential of starting a distillery, the Pollock’s began to seriously consider the possibility of pursuing this idea. Chad was already a spirits enthusiast, his sister Amber had a passion and penchant for great cocktails, Kathy his mother was in need of a career change, and his father Bill was looking for an alternative to retirement after 29 years working and co-owning a small business. The Pollock’s decided to take the plunge, and the rest as they say is history. 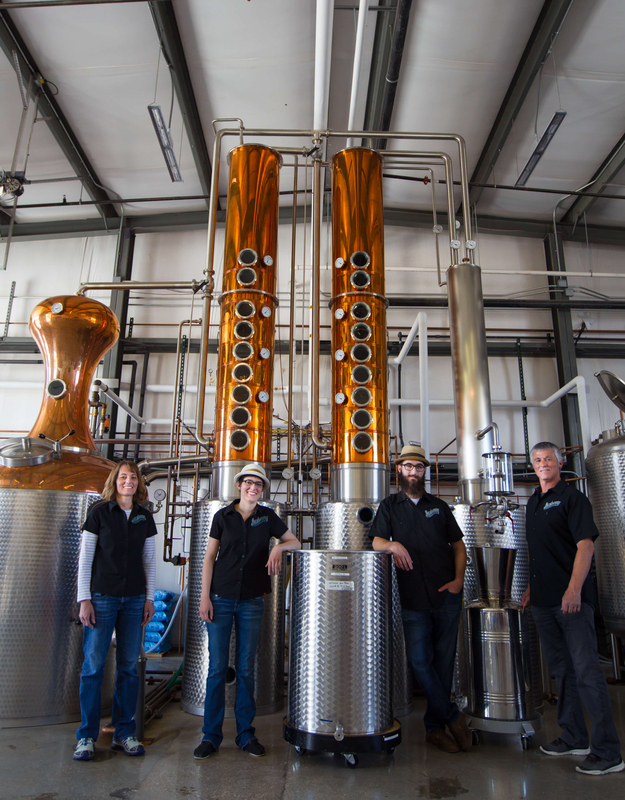 The Pollock’s have created an ambitious line of locally crafted spirits. The latest release was their “American Whiskey” which had been barrel aged in a small batch. 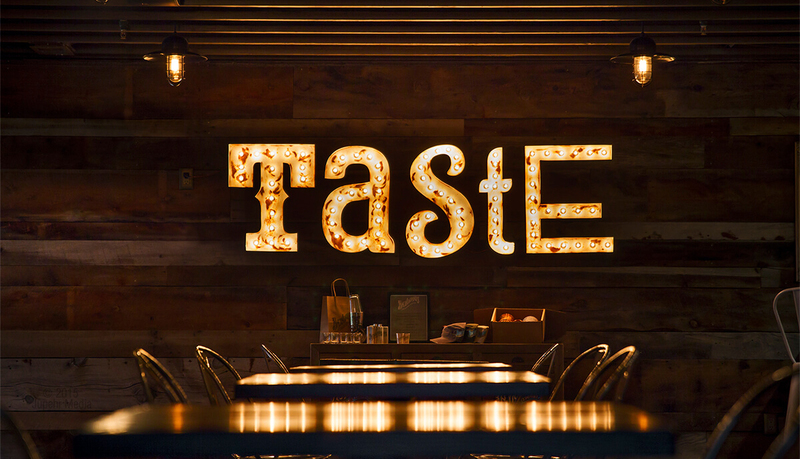 They have a tasting room attached to the distillery where folks can order up a delicious drink and take in some conversation with friends. They have their sights set on opening a satellite tasting room in downtown Casper and just overcame a hurdle towards that goal. During one of the first City Council sessions of 2019, council approved an amendment to the municipal code to allow distilleries to obtain an alcohol permit for tasting rooms. 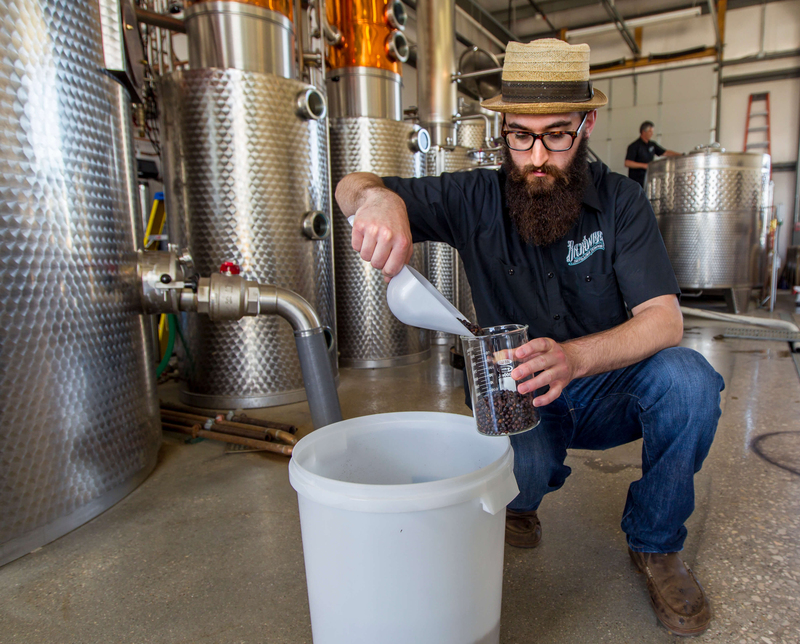 With the new release and many more offerings to come, it appears Backwards Distillery will be a part of the fabric of the Casper community for a while. Recently highlighted in the Wyoming Business Report as a Hot Company, the Backwards brand is on the rise. Chad Pollock the head distiller has many ideas for new spirits. In addition to the newly released American Whiskey they plan on releasing other aged products such as Backwards Bourbon, Backwards Rum and the highly anticipated release of Absinthe sometime this year. The Pollock family has been thrilled by the reception of the community and looks forward to continued growth throughout Wyoming and beyond.